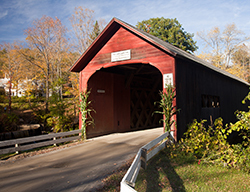 Hartford, Vermont is known as the gateway to Vermont for recreation and as a regional transportation center. Interstates 89 and 91 intersect as well as routes 4 & 5. Hartford is comprised of five towns: W. Hartford, White River Junction, Quechee, and Hartland. Scroll down to find all current real estate for sale in Hartford, VT. Contact us if you have questions or would like to learn more about a listing. Sign up to save your favorite listings and email updates when similar listings hit the market. To learn more about Hartford, click here! Listed by Lisa ONeil and Candice DeFelice of The Clerkin Agency, P.C.